Supplier of luxury goods can prohibit selling on internet platform – Court of Justice of the European Union: A supplier of luxury goods can prohibit its authorised distributors from selling those goods on a third-party internet platform such as Amazon. Such a prohibition is appropriate and does not, in principle, go beyond what is necessary to preserve the luxury image of the goods. Coty Germany sells luxury cosmetic goods in Germany. 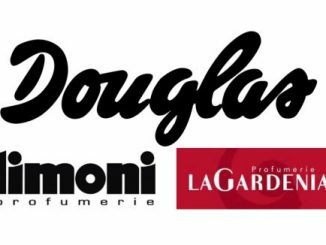 In order to preserve their luxury image, it markets certain of its brands via a selective distribution network, that is to say, through authorised distributors. The sales locations of those authorised distributors must comply with a number of requirements relating to their environment, décor and furnishing. Furthermore, authorised distributors are allowed to sell the goods in question online, provided that they use their own electronic shop window or non-authorised third-party platforms, on condition that the use of such platforms is not discernible to the consumer. By contrast, they are expressly prohibited from selling the goods online via third-party platforms which operate in a discernible manner towards consumers. that clause is lawful under EU competition law, the Oberlandesgericht Frankfurt am Main (Higher Regional Court, Frankfurt am Main, Germany) has requested the Court of Justice to rule on the matter. By today’s judgment, the Court, referring to its settled case-law, (1) states first of all that a selective distribution system for luxury goods, designed primarily to preserve the luxury image of those goods, does not breach the prohibition of agreements, decisions and concerted practices laid down in EU law, (2) provided that the following conditions are met: (i) resellers are chosen on the basis of objective criteria of a qualitative nature, laid down uniformly for all potential resellers and not applied in a discriminatory fashion; and (ii) the criteria laid down must not go beyond what is necessary. The Court notes in this context that the quality of luxury goods is not simply the result of their material characteristics, but also of the allure and prestigious image which bestows on them an aura of luxury. That aura is an essential aspect of those goods in that it thus enables consumers to distinguish them from other similar goods. Therefore, any impairment to that aura of luxury is likely to affect the actual quality of those goods. Next, the Court finds that the prohibition of agreements, decisions and concerted practices, laid down in EU law, does not preclude a contractual clause, such as that at issue in the present case, which prohibits authorised distributors of a selective distribution network of luxury goods designed, primarily, to preserve the luxury image of those goods from using, in a discernible manner, third-party platforms for internet sales of the goods in question, provided that the following conditions are met: (i) that clause has the objective of preserving the luxury image of the goods in question; (ii) it is laid down uniformly and not applied in a discriminatory fashion; and (iii) it is proportionate in the light of the objective pursued. It will be for the Oberlandesgericht to determine whether those conditions are met. The Court observes in this respect that, subject to the Oberlandesgericht’s inquiries, the clause at issue appears to be lawful. It is common ground that the contractual clause at issue has the objective of preserving the image of luxury and prestige of Coty goods. Furthermore, it follows from the documents submitted to the Court that the Oberlandesgericht considers that that clause is objective and uniform and that it applies without discrimination to all authorised distributors. Furthermore, according to the Court, the prohibition, imposed by a supplier of luxury goods on its authorised distributors, of the use, in a discernible manner, of third-party platforms for internet sales of those goods is appropriate to preserve the luxury image of those goods. That prohibition also does not appear to go beyond what is necessary to preserve the luxury image of those goods. In particular, given the absence of any contractual relationship between the supplier and the third-party party platforms enabling that supplier to require those platforms to comply with the quality criteria which it has imposed on its authorised distributors, an authorisation for those distributors to use such platforms subject to their compliance with pre-defined quality conditions cannot be regarded as being as effective as the prohibition at issue. 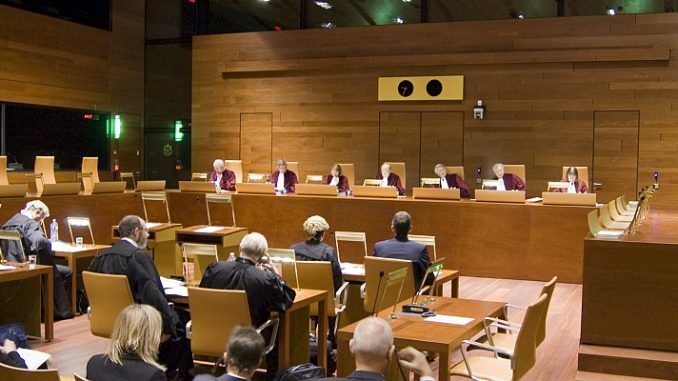 Finally, in the event that the Oberlandesgericht should conclude that the clause at issue is caught, in principle, by the prohibition of agreements, decisions and concerted practices laid down in EU law, the Court points out that it is possible that that clause might benefit from a block exemption. comprehensive prohibition of the sale of those goods via the internet.